Product prices and availability are accurate as of 2019-04-23 14:51:06 UTC and are subject to change. Any price and availability information displayed on http://www.amazon.com/ at the time of purchase will apply to the purchase of this product. 6 mugs hold 15-ounce each. 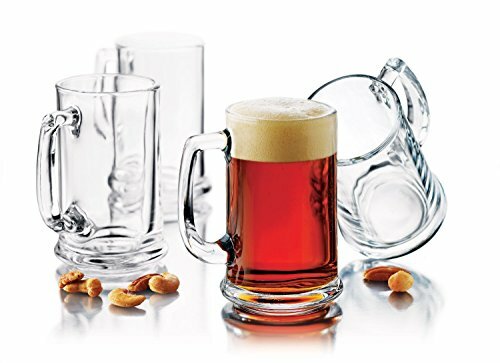 Traditional, classic style, great for holding beer. Dishwasher safe. Made in USA.